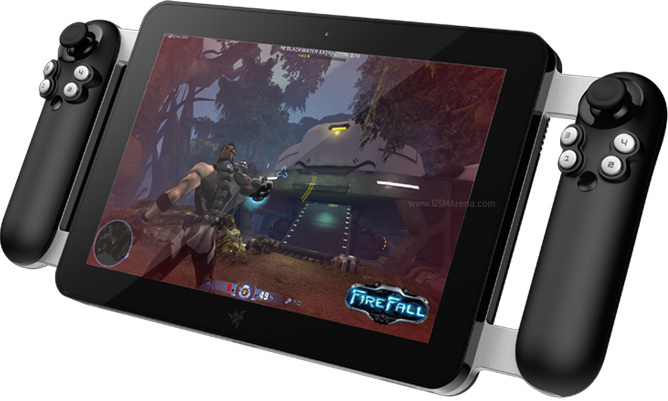 Razer’s Project Fiona is essentially that, a tablet with two PlayStation Move like controllers on the side. The controllers are fixed and so even when you’re not gaming you will still have them around. Each of the controller has a joystick on it with four buttons on the front and two shoulder buttons. The device includes force feedback, 3-axis gyro, magnetometer and an accelerometer. In the middle of these controllers is a large 10.1-inch, 1280 x 800 resolution multi-touch display. Running on this display will be Windows 8, so you will actually be holding a full PC in your hands. Along with that you also get Wi-Fi 802.11b/g/n, Bluetooth 3.0 and Dolby 7.1 surround sound. Powering all of this is Intel’s Core i7 processor. Other specifications are sketchy at this point because the device is still in developmental stage and some of the specs may change by the time it arrives in Q4, 2012. No exact price has been revealed but Razer plans to keep it under a $1,000. Personally, I find it hard to imagine holding that thing with the two controllers particularly comfortable. Even if it light eventually your hands will get tired sticking out in front of you like that. It would have also been nicer if the joysticks came off, so you could use the device just as a Windows 8 tablet. Also, I wonder why Razer chose to put four additional buttons on the left joystick instead of the more common D-pad. Hopefully, Razer sorts some of these issues out by the time the device goes on sale.